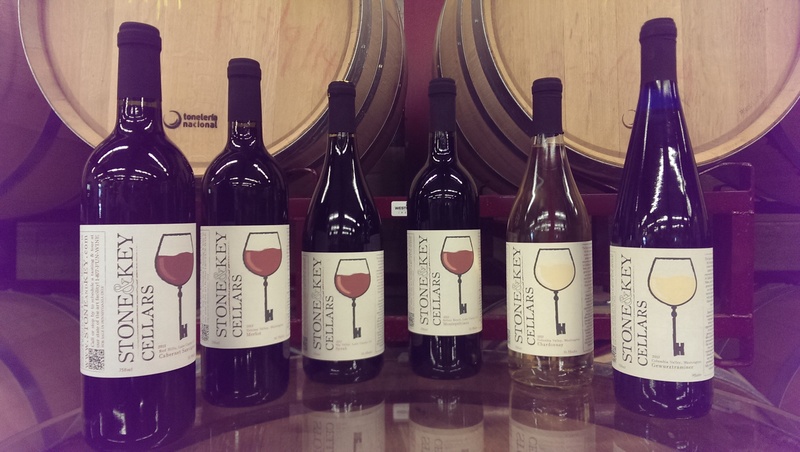 This fall at Stone & Key Cellars we will be producing six different barrels of premium wines from Washington State AVAs, and we are inviting you to be a part of it. The best news is that by joining the Quarter Barrel Club, you’ll get one case of each of these six premium wines at a fantastic price. Join by Sept. 8th to vote on the varietals for this year! Deadline for to join at regular price is December 31, 2018! Two free tee-shirts per share! 1/2 price admission to paid Stone & Key hosted events in the winery. Wine, cheese, and charcuterie parties at two group barrel tastings and one bottling session! – Yakima Valley, WA Cab. Sav. 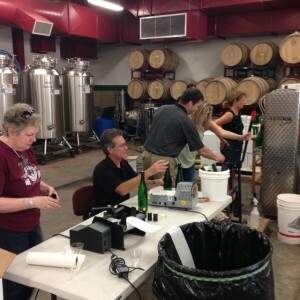 Meet up with 23 other winemakers (+ you = 24) to crush, press, sample, and bottle six different wines. We’ll start by setting crush dates for each wine as soon as the grapes ship from Washington, and announce the dates to the Quarter Barrel Club. As the wine progresses, they’ll announce the dates for pressings, barrel tastings, and bottling events. Each step in the process will be fun and social, and you choose when and whether to participate. Their expert winemakers will lead the charge, ensuring high quality results and allowing you to focus on having fun. You’ll learn about winery operations, while you share a unique experience with new friends. And of course our tasting bar will be open! New this year you will get a 50% discount on admission to our Live Music Series, Cabaret Merlot, all year long! Every first and third Friday of the month we welcome local singer-songwriters and bands who play an intimate two hour show. In addition, all participants in the Quarter Barrel Club will receive a special T-Shirt with the Q.B.C. logo to let the world know you’re part of the winemaking team! Participation will be limited to the first 24 people to sign up, and the first of the grapes will be crushed on Friday, October 9, so don’t wait! If you want in on our first ever Quarter Barrel Club, please fill out the form below and we will contact you to arrange for payment and discuss further details. Please use an email you check regularly, as that will be our primary means of communication with the Club. Questions? Please call 877-FUN-WINE or email us at info@StoneAndKey.com.